As a follow-up to Monday's post on New Covenant living, I would like to point out an excellent comment given by my father in yesterday's comment stream. The premise of my post Monday was that New Covenant believers are known for our obedience to a "new" commandment from Jesus to "love one another." My father points out just exactly how this commandment in John 13:34 is "new." Think about what Jesus is saying. We have always been commanded to love others - from the very beginning. But in the New Covenant our standard or measurement of loving others is no longer "love people like I love myself," but rather, "love people as Christ has loved me." The question one should ponder as we think about how we are to love others is clear: How is the love of Christ for my soul different than my own love for my own soul? There many, major differences between self-love and Christ's love for me. But there is one major difference I would like to point out in today's post. Self-love is powerful and deep - but expected; Christ's love for me is so much more powerful, so much deeper - and unexpected! Thus, my love for others in the New Covenant ought to astonish, amaze and cause people to scratch their head in wonderment and surprise - just as I am astonished, amazed and surprised by Christ's love for me. Psychologists tell us that self-love is universal. Even those with "low self-esteem" love themselves - or they wouldn't be bothered by whatever problems they perceive they have. Again, self-love is easily understood and explained. But Christ's love for me hard to explain and understand. His love is so much stronger, and so much more powerful - and unexpected!. Thus, loving people the way Christ loved me is so much deeper, stronger and incredibly more powerful than we imagine. It is also surprising to those being loved! In other words, New Covenant love for others is "astonishing," just as Christ's love for me astonishes me! Could it be the reason there is so little love among Christians today is because we have ceased to be astonished at Christ's love for us? Too often we pastors and church leaders want to focus people on "their love for God," but when I read the Scriptures and the prayers of the apostles, their concern was not so much that believers increase in their love for God as it was that believers grow in their comprehension of God's love for them. When we become more and more amazed at Christ's love for us, we then begin to understand that loving people in the New Covenant way is to surprise them with our love as we are surprised by God with His love for us. One of the best things we can do for others is to teach and model the New Covenant. The word "covenant" in Hebrew is [beriyth], and in Greek it is [diatheke], often translated "testament." Both original words literally mean "a promise or solemn oath" (See Genesis 26:3). We help others when they hear us teach, and they see us live, resting in God's solemn promise of faithful goodness toward us - regardless of our performance, obedience or commitment. In order for Christians to understand this radical way of thinking and living, they must first understand that there two kinds of covenants God enters into as described by Scripture. First, God has often entered into covenants that are based on a mutual agreement, so that God makes a promise to bless based upon certain requirements being met by the recepient of the promise. But there is a second kind of covenant or "promise" that God enters into, and fulfills, with no requirements or necessary stipulations from the recepient of the promise. This kind of covenant is called "an unconditional covenant." Unconditional covenants are entered into because of the mere grace of the promise maker. Though there are several conditional covenants that God has made with His people throughout history as recorded in the Old Testament, there is one major conditional covenant, under which all other conditional covenants were made. The writer of Hebrews officially calls this covenant that God initiated with His people "The Old Covenant." God said, "If you will obey me . . . then I will bless you. If you disobey me, then I will curse you," and all Israel agreed. But the writer of Hebrews tells us that this covenant has been done away with and replaced with a "New Covenant" (Hebrews 9:15) between God and both Jews and Gentiles - all who will trust His Son. 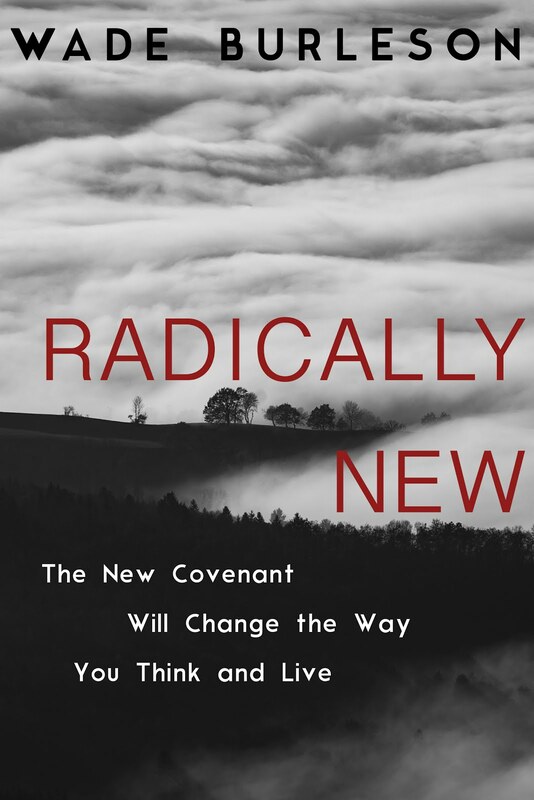 This "New Covenant" is a "better" covenant with "better" promises; promises that are unconditional in nature. A believer in Jesus Christ is the recepient of promises from God that are based on His mere grace, and have nothing to do with the performance or commitment of the participants. 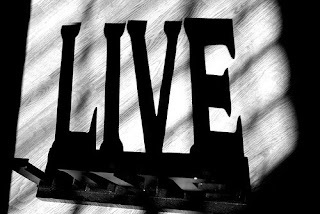 Simply "look to Christ and live." Unfortunately, many pastors do harm to their congregations by not understanding themselves the differences between the two covenants. A New Covenant preacher will tell God's people what God has done for us through His Son, our Saviour Jesus Christ. New covenant messages and ministries will not be on "if you will . . . then God will . . . " but rather, "look what God has promised to do, and will do, for those who trust Him." It is to this ministry, with this message, that Jesus has called all minister to others the good news. I was once asked why our church did not have an active "Promise Keepers" movement within it, and I responded that when emphasis is on "The Promise Keeper," meaning God, then we would be involved. I have found that when ministries are built on the promises of man, they always tend to fail in the end. However, it is not my desire to focus on the specifics of how a ministry implements New Covenant teaching in terms of tithing, church attendance, Christian commitment, etc . . . There are plenty of web sites that delve into this, including several articles by my own father, Paul Burleson. The purpose of this particular post is to simply show that under the New Covenant there is a particular characteristic that defines God's people. We are not defined by our "obedience to any law" such as the law of Sabbath keeping, or the law of sacrifice, or the law of Temple worship, or the law of abstinence, or any other Old Covenant law, church law, or man-made law. Rather, we are defined as a people by our desire to solely and completely fulfill one law - the law from Jesus Christ Himself, called "the royal law of love." Jesus calls this His "new commandment" (John 13:39). It is "new" in that it is a "new" commandment for the "new" man whose been given a "new" name and sings a "new" song as he lives a "new" life where all things are "new" (Rev. 21:5). It is this radical commandment to love one another - to boldly, liberally and continually love people - that is THE IDENTIFYING MARK of God's people. This does not mean that a New Covenant believer cannot be a person of strong convictions,,, but it does mean that love for people is to pervade all he/she does. One of the best ways to measure whether or not we are living the Christian life to its fullest and its finest is to measure whether our hearts are truly filled with love for people - people who disagree with us, people who are different than us, people who are a delight to us. 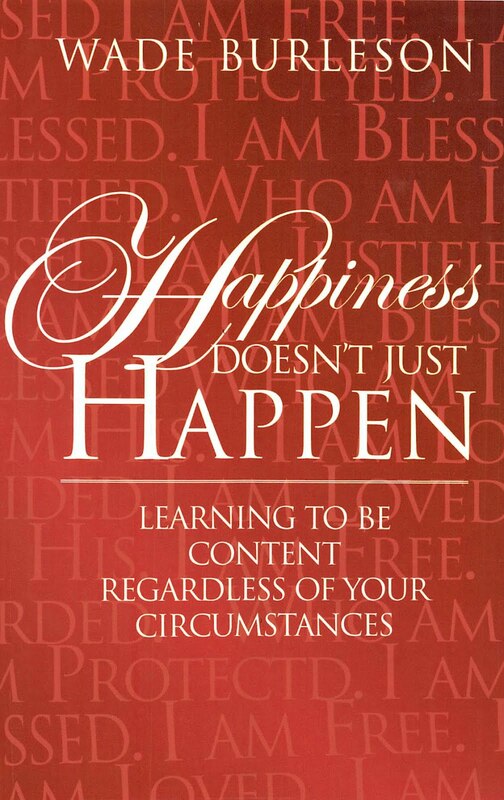 Do we rejoice when others are blessed? Are we glad when others succeed? Do we do what we do because we love? These are questions I ask myself almost daily. Has the Ark of the Covenant Truly Been Found? 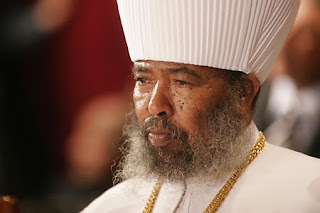 In a copyrighted story from the Italian news agency Adnkronos the patriarch of the Orthodox Church of Ethiopia, Abuna Paulos (pictured here) says he will announce to the world today, Friday, June 26, the unveiling of the Ark of the Covenant, perhaps the world’s most prized archaeological and spiritual artifact. The patriarch says the ark has been hidden away in a church in his country for several thousand years. The announcement is expected to be made at 2 p.m. Italian time from the Hotel Aldrovandi in Rome. Pauolos will reportedly be accompanied by Prince Aklile Berhan Makonnen Haile Sellassie and Duke Amedeo D’Acosta. According to Pauolos, the actual Ark has been kept in one church, but to defend the treasure, a copy was placed in every single church in Ethiopia. He said a museum is being built in Axum, Ethiopia, where the Ark will be displayed. A foundation of D’Acosta will fund the project. The Ark of the Covenant is the sacred container of the Ten Commandments as well as Aaron’s rod and a sample of manna, the mysterious food that kept the Israelites alive while wandering in the wilderness during their journey to the promised land. Muslim scholars say it will be found near the end of times by the Mahdi – a messianic figure in Islam. I happen to be a partial-preterist, ala R.C. Sproul, but many on my pastoral staff who are dispensationalist, including Pastor Ted Kuschel, Th.M, Dallas Theological Seminary, will most assuredly point out to me the prophetic significance of this event when I arrive in Enid the first of next week. I remain a skeptic on matters like this. Rachelle and I are packing to head to the airport to catch our flight back to DFW. I thought I would take a couple of minutes to post something that has been on my heart and mind. For reasons that are not of my making (at least in my opinion), I have been involved in the politics of the SBC for the past three years. It is now time for me to step aside. For the next year I will be taking a sabbatical from any SBC political discussions on this blog. I will continue to write posts, but they will concentrate on theology, church work and those things that are positive about all Southern Baptists, including those who I consider to be my Baptist Identity friends. Further, if someone reads a post of mine and believes it to be political in nature, whoever it is that believes it to be political, I commit to remove that post at the simple request of the reader. I will, of course, reserve the right to write on theological issues, but there will be no mention of those who disagree, nor comparisions with anybody else's theology, methodology or ecclesiology. We have far too much at stake, and far too much in common as Southern Baptists to be polarized in the manner in which we have been polarized. My little part to help bring unity in the blogosphere may not amount to much, but those who know me will tell you that I stand by my word. So, until the next SBC in Orlando (2010), I hope you enjoy reading my blogposts - sans any political SBC discussions. Tuesday night at the 2009 Southern Baptist Convention, the messengers overwhelmingly voted to adopt a motion from Al Mohler to "authorize the President of the Southern Baptist Convention to appoint a Great Commission Taskforce charged to bring a report and any recommendations to the SBC meeting in Orlando, Florida June 15-16, 2010 concerning how Southern Baptists can work together more faithfully and effectively in serving Christ through the Great Commission." The Convention in Orlando next year is setting up to be a doozy. Not only will there be a new President elected, but the report of this Great Commission Taskforce will be as controversial as the Peace Committee Report of the mid-1990's. (1). Baptist State Convention Executive-Directors and Dr. Morris Chapman are united in their belief that certain agency heads, particularly Jerry Rankin, Al Mohler and Danny Akin are looking for churches to give more money directly to their institutions rather than through the Cooperative Program where state conventions and the Executive Committee would receive a cut of what is given. Whether this is true or not is not really the issue - it is the perception. (2). Some Southern Baptists, particularly Paige Patterson, Malcolm Yarnell and others affiliated with Southwestern Theological Seminary believe the Great Commission Resurgence Declaration does not go far enough doctrinally. Wanting a much firmer and official "Baptist Identity" spelled out in the Great Commission Declaration, Baptist Identity adherents have signed the document with "caveats" or not signed it at all. Many who argued against the Great Commission Recommendation Tuesday night said the growing influence of Calvinism in the SBC is the reason for the decline in baptisms, and no Great Commission Declaration would ever weed out what really needs to go in the SBC - Calvinists. (3). Dr. Morris Chapman made, in my opinion, a very strategic mistake during his Executive-Director's address Tuesday morning. As stated above, Dr. Chapman is adamantly opposed to the Great Commission Declaration because of a feeling those in support of it will work to "cut out" traditional Cooperative Program accounting. In essence, Dr. Chapman believes Danny Aiken and other agency heads have long sought the Convention to label any DIRECT gifts to any specific SBC agency as "Cooperative Program" giving. Dr. Chapman takes the position regarding the Cooperative Program budget that most local SBC pastors take regarding their local church budgets. Once people begin to "designate" gifts then the idea of a unified and cooperative budget goes out the window. However, rather than addressing the practical and financial concerns associated with GCRD Article 9 (i.e. the restucturing of SBC agencies and ministries) during his address, Dr. Chapman delivered a rather polemical strike against Calvinism. Dr. Chapman, in essence, blamed Calvinism for the decline of baptisms, giving and missions in the SBC. Several who opposed the Great Commission Recommendation Tuesday night picked up on Dr. Chapman's attack against Calvinism. Dr. Chapman's strike against Calvinists in the SBC was a mistake. In an extraordinary luncheon meeting at Sojourn Church after Dr. Morris Chapman's address, Dr. Danny Aiken publicly apologized to all his "Calvinist" friends present at the luncheon (Dr. Mohler was seated to his left on the platform) for the "shameful" misrepresentations of Calvinism by Executive-Director Morris Chapman. I don't know when I've seen agency heads at such odds with each other as they seem to now be. In the end, I voted for the Great Commission Recommendation Tuesday night. Honestly, after the Baptist21 luncheon today at Sojourn where national agency leaders seemed to either advocate or condone bypassing state conventions in order to give directly seminaries, the IMB, or other national entities of the SBC, I was withdrawing my support for the Great Commission Resurgence Declaration. However, after hearing the floor debate on Tuesday night and realizing that those voting AGAINST the Great Commisison recommendation were either slamming Calvinists, or opposing evangelical cooperation, or were strong advocates of Baptist Identity - I voted FOR the Great Commission Motion. I admire Dr. Chapman, but I think it was a very strategic mistake to oppose the Great Commission Resurgence on the basis of blaming Calvinists for the problems in the SBC. Others heard his address and picked up the mantra Tuesday night during the debate on the Great Commission recommendation. In the end, the diatribe against Calvinists by those opposing the GCRD Task Force is precisely why I voted FOR for the GCRD Task Force. Otherwise, I probably would have voted against it. It is not my desire, nor will it ever by my desire, to defund state missions ministry. I can't speak for other Baptist state conventions, but I can guarantee you that the work done in Oklahoma is extraordinary. Frankly, I am far more comfortable with the accountability of how our STATE Cooperative Program funds are being spent than I am with the accountability of hour our NATIONAL Cooperative Program funds are being spent - particularly when our national convention refuses to adopt GAAP or FASB conflict of interest guidelines - something our state Baptist Conention did years ago. Needless to say, things are getting very confusing in the SBC. I told my wife three years ago that the reason I was taking a stand against excluding charismatics from the IMB and the SBC is because if you don't draw the line there, then those who hold to the doctrines of grace would be the next ones targeted. Well, it sure seems that some very signficant people are now taking direct aim at Calvinists in the SBC. Hold on tight. It could get really rocky. An interesting day (Tuesday) at the SBC. I will cover some of the more interesting items from the morning and afternoon sessions, but I will save an evaluation of Dr. Morris Chapman's speech, a critique of the Sojourn Baptist21 Conference at lunch, and a report on Tuesday night's SBC session for the morning. (1). A motion to force Convention agencies to cease funding and/or cooperating with the ACTS 29 Network or Mark Driscoll ministries. (2). A motion to forbid any person to speak from the platform of the Southern Baptist Convention who has declared it is acceptable to drink an alcoholic beverage. The messenger who made this motion called drinking alcohol "reprobate behavior." The above two motions will addressed by the Executive Committee and SBC at a later date. Another motion to disfellowship from Broadway Baptist Church, Fort Worth, Texas for allowing gays to have their photographs taken in the church directory passed, just as I predicted. A motion to disfellowship from FBC Decatur for calling a female pastor, another motion I predicted would be offered, has not yet been presented, though there are a couple of business sessions Tuesday night and Wednesday where this could be offered. During the morning session I offered an amendment to the Nominating Committee report, substituting Bart Barber's, FBC Farmersville position as an at large trustee for Southwestern Theological Seminary (term expiring 2012) with Buddy Hunt, FBC Tahlequah. I was allowed to speak to the motion and offered the rationale for the substitute motion. Dr. Bart Barber is an adjunct professor for Southwestern Theological Seminary, teaching church history last semester (Spring 2009). Bart has drawn a salary and various benefits from Southwestern while on their payroll. I explained that to appoint Bart Barber as a trustee of the institution that has provided him a paycheck is in violation of Generally Accepted Accounting Principles (GAAP) and the Financial Accounting Standards Board (FASB) and their respective statements regarding conflicts of interest. I affirmed that Bart and Buddy were both good men and friends, but that as a Convention we should avoid any appearance of irregularities, but I'm not sure the Convention understood the "irregularities" at stake. I didn't point out, but might should have, that to have an employee of an institution being in a position (i.e. "a trustee") where he will make decisions regarding his own salary, benefits and future personnel policies that shall affect him as an employee is a definite conflict of interest. Corporations would be fined for such violations by the various regulatory oversight agencies that enforce FASB and GAAP. It is up to the Southern Baptist Convention to police ourselves. However, the member of the Nominating Committee who spoke on behalf of Dr. Barber's nomination said he had "prayed" about it, and that every person nominated and voted on by the ENTIRE committee was precisely who they beleived God desired to serve on the various boards. I am glad the members of the Nominating Committee prayed about the people they nominated, but frankly, if their actions violate ethical and moral standards that even secular corporations follow, it might not be wise to let people know you prayed about it. It's a little like saying, "I prayed about robbing the bank and felt like God would have me do it." The Southern Baptist Convention has historically voted on behalf of the full Nominating Committee report. I can only recall one time in the last 30 years that a substitute nomination from the floor was approved by the Convention. My motion to replace Bart Barber's nomination also failed. However, I am glad I pointed out the conflicts. It puts the people who need to know that they are being closely observed on notice. There is an interesting conflict arising over a motion to appoint a Great Commission Resurgence Task Force. That motion, debated Tuesday night at 7:40 p.m., is causing a rift among leadership in the SBC. 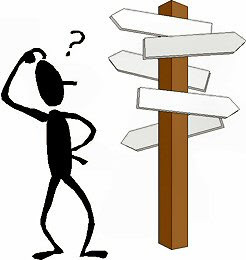 On the one side you have Dr. Morris Chapman and the various State Executive Directors (only two state exec's signed the GCRD), and on the other side you have national agency heads and seminary Presidents who would like to see churches be able to give directly to their ministries - bypassing the State Conventions. I find it ironic that some will try to frame the Great Commission Resurgence debate in terms of "How can anybody be AGAINST the Great Commission Resurgence?" - a little bit like people who were pro-conservative resurgence in the early 1980's used to say, "How can anybody be AGAINST a belief in an inerrant Bible?" Just a word of caution before the debate tonight regarding the Great Commission Resurgence - the debate is more about politics, turf and money than any disagreement over whether or not we need a resurgence in the Great Commission. Rachelle and I enjoyed a good day in Louisville on Monday. Rather than give a detailed review of every message given on Monday, I decided to give just a one sentence observation of each pastor and/or message. Mike Landry - (8:55 a.m.) "Anybody given the 8:55 a.m. time slot on Monday morning at the Southern Baptist Convention's Pastors' Conference should be praised just for accepting." 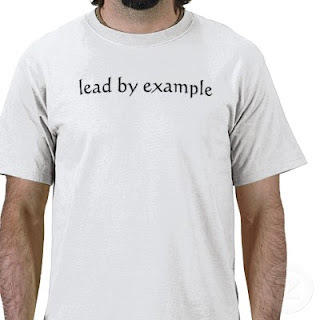 Ed Stetzer - (9:35 a.m.) "Ed is the real deal; the SBC needs more men like Ed in leadership. He gave an excellent message on the state of the SBC." Tom Elliff - (11:00 a.m.) "Tom delivered a message I've heard before from him on the importance of forgiveness; a message in which he shares anecdotes from his own family." Michael Catt - (1:55 a.m.) "This former pastor of FBC Ada, Oklahoma is known more for his movie making ("Facing the Giants" and "Fireproof") than he is his preaching, though he does a good job at both." Fred Luter, Jr - (2:55 p.m.) "The best comment about Fred's message came from Mike Huckabee who followed him: (Quote) 'Don't you wish Barak Obama had sat under Fred's preaching for 20 years rather than Jeremiah Wright's preaching?' (Endquote)." Mike Huckabee - (3:45 p.m.) "Governor Huckabee is funny and effective as he delivers his first campaign speech for the Presidential campaign of 2012. Alvin Reid - (7:00 p.m.) "Ditto what was said about Ed Stetzer regarding Dr. Reid - Southern Baptists need more like this professor from Southeastern who is rather unafraid to tell it like it is." David Platt - (7:45 p.m.) "I predict the ubiquit0us David Platt of Brookhills Baptist in Birmingham will be on more Pastors' Conference programs in the next 20 years than any other SBC pastor." Johnny Hunt - (8:30 p.m.) "One thing that must be said about Johnny Hunt is he is not used to anybody telling him how something should be done - no doubt about it as to who is setting the agenda for this Convention (and Pastors' Conference)." The Great Commission Resurgence is the hot topic, and by Thursday it will be discussed even more across the Southern Baptist Convention. Look for some very surprising motions (and fully expected motions) to be presented right off the bat at 8:30 a.m. eastern time from the floor of the Convention. Also, during the Executive Committee's second report in the afternoon there will be a controversial recommendation regarding disfellowshipping from a SBC church. Look for a couple of possible surprises in the Nominating Committee report as well. All eyes and ears will be tuned to the two speeches by Morris Chapman and Johnny Hunt - two men who have much in common, but at this Convention a great deal of public differences. It should be an interesting Tuesday, not the least of reasons is my booksigning, unlike other booksignings, is being done in the waiting line for people buying donuts. Sunday night's Southern Baptist Pastor's Conference was held at the Kentucky Exposition and Fair Grounds just about five minutes south of downtown Louisville. I arrived at 6:00 p.m. and walked into the main lobby to the wonderful smell of freshly baked donuts. It seems some entrepreneurs have brought in a donut machine that makes hot, white sugar coated minature donuts - selling them for $4.00 a dozen. The line for donuts was longer than the line for Convention registration, and I can vouch that the donuts are worth the wait. J.D. Greear started the preaching off at 6:30 p.m. I have heard a great deal about J.D., but have never had the privilege of hearing him preach. He pastors The Summit Church in Raleigh-Durham, North Carolina, a fast-growing church composed of mostly young adults. J.D. did an excellent job showing the six characteristics of Christians who have substituted religion for the vitality of knowing Jesus Christ. His text was Matthew 23 and he showed how the Pharisees (1). sought personal recognition, (2). substituted religious rituals over and against love for God, (3). substituted religious rituals over and against love for people, (4). 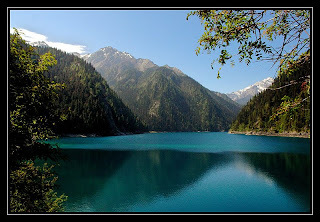 considered only themselves holy and other people sinful, (5). raised tertiary issues to the place of primary doctrine, and (6). sought fellowship around conformity to their own ideology and not the life transforming power of God. J.D. 's message was superb. My only reservation is the manner in which J.D., like many trained in modern Southern Baptist seminaries, used women in ministry as an illustration of a "primary" doctrine. One of these days I believe J.D. will see that this "doctrine" is secondary, if not tertiary - and disagreement among evangelicals in this area should not lead to separation in fellowship or cooperation. Mac Brunson followed J.D. Greear and preached a message from I Peter. His theme was on how the people in Christ's church should love one another and treat each other with grace, civility and love - so that the world will see how we treat one another and glorify God. Mac is a great communicator and I enjoy listening to him. He is faithful to the text, which is more than can be said of many preachers. However, I couldn't help but have two thoughts reverberate in my head as Mac preached on Christian civility and love - (1). Why is he yelling so loud? Usually, loud preaching is not bothersome, but there seemed to be a disconnect between a preacher talking about Christian civility and love while yelling at the people who he says (those of us in the congregation) aren't showing it, and (2). I wonder what Mac's church member - the one who criticized Mac on his blog and then was issued a trespass warning without ever being personally contacted by Mac - was thinking? I didn't have to wonder long because as soon as the message was over I received a text message from that church member. He let me know what he thought of the message -and I discovered that he was thinking what I thought he must be thinking. Chuck Colson closed out the evening. I really enjoy listening to Chuck. He is casual, conversational and most often insightful. He spoke about "The Great Storm" our nation faces - caused not by economic or political catastrophes, but by a moral vaccuum in the hearts and lives of God's people. He spent a great deal promoting his new book "The Faith" - which he will be signing today in the LifeWay store - but his words were, as usual, insightful. If I have any complaint about Chuck's message it would be he is often too focused on "culture" and what he calls "The Christian Worldview" to the point of warning the congregation that in just a couple of years we all might be imprisoned for "speaking out against homosexuality." In the first message by J.D. Greear we had an example of a young SBC pastor who encouraged us to live out the gospel - while in the last message we have an elder SBC statesman who seemed to indicate that it is more important to speak out against a sinful culture. I don't know that either is necessarily "wrong" or "better than the other" - just illustrative of the divide between two generations of Southern Baptists. If you would like to watch Monday's Pastor's Conference, you can watch the live feed here. Rachelle and I arrived in Louisville late Saturday night via a direct flight from Dallas, Texas. Before catching our flight at DFW, we dropped of our youngest son, Logan, at Dallas Christian College where he is going through a week of training before heading to the Amazon jungle in Peru to spend six weeks sharing the gospel with Peruvian jungle natives on a team from Awestar Ministries in Tulsa. Rachelle and I are staying at the historic Brown Hotel in downtown Louisville. We both swear by Hotwire, and our $90 a night hotel room is a great deal when compared to the $125 rooms at the Convention headquarters hotel where we usually stay. Today I attended three different worship services at various Lousville Southern Baptist churches, including Valley View Community Church, Highview Baptist Church, and 9th and O Baptist Church. I will be attending a couple of meetings at Sojourn Church later this week. Kevin Ezell, Senior Pastor of Highview, is being nominated for President of the Southern Baptist Pastor's Conference. Highview has seven locations, and I attended the Fegenbush Campus where Dr. Russ Moore of Southern Baptist Theological Seminary preached the 10:15 worship service. Dr. Bill Cook, a professor at Southern, is the lead pastor at 9th and 0 Baptist Church. Joel Carwile is the Senior Pastor of Valley View. A few observations from attending these various worship services today. (1). The influence of Southern Seminary is felt at every Southern Baptist church in Lousville. Southern is our largest seminary and, frankly, it is a huge blessing for churches to be able to tap into the gifts and talents of both faculty and students. Examining closely the staff rosters of the churches, it is evident that Southern plays a huge influence in leadership at these churches. (2). Valley View is less identified with Southern Baptists, removing "Baptist" from their name, using women far more effectively in leadership roles than the other two churches, and they seem, by far, to have the younger congregation. However, to be fair to Highview, I only attended one service of multiple services they offered this weekend, and it could have been that I chose a service attended by a generally older crowd than the other services. (3). All three messages that I heard were doctrinally sound, well-delivered, and a blessing to the hearers. (4). Highview is to be commended for having multiple campuses with multiple pastors and teaching pastors. Rather than Kevin Ezzel preaching at every campus via close circuit feed or video archive, various pastors teach at each campus, including Dr. Russ Moore every Sunday at the second of three services at the main campus, giving Dr. Ezell a break between the early and late service. The series topic is the same at each campus, but the messages are unique to each pastor. This, in my opinion, is far better than the LIFE model out of Edmond, Oklahoma, which often becomes a church revolving around a personality. (5). The websites of Valley View and 9th and O were well done, but in Valley View's case, information was outdated. Highview, on the other hand, had the finest website of any Southern Baptist Church I've come across. It was visually appealing, easy to use, and simplified a very complex worship schedule and structure for the newcomer or visiter. The web administrator and staff at Highview are to be commended for a job well done on getting great information about the church on the Web. (6). All three churches sponsor a number of missionaries, mission projects and direct mission causes that have nothing to do with the Cooperative Program. This is neither a negative or a positive regarding the churches - just an observation. (7). I came away this morning grateful that these churches understand evangelism, for the most part, is to be done OUTSIDE the worship service - and Sunday worship is to encourage believers - which happened at all the services I attended. After an early start this morning, Rachelle and I ate lunch and returned to the hotel where I watched Emmanuel, Enid's 11:00 a.m. service via the internet (archived). My dad delivered a wonderful and meaningful message on Father's Day. Needless to say, the Southern Baptist Convention has a great deal going for her in 2009 - mostly some wonderful churches who understand what it means to minister to people. I am on my way to the Southern Baptist Pastor's Conference at the Kentucky Exposition Center where I will hear J.D. Grear, Mac Brunson and Chuck Colson. I will report on the Pastor's Conference later. The photo below captures a disturbing trend that is beginning to affect US wildlife. Animals that were formerly self-sufficient are now showing signs of waiting for the government to give individual animals a handout or orchestrate a national wildlife bailout. 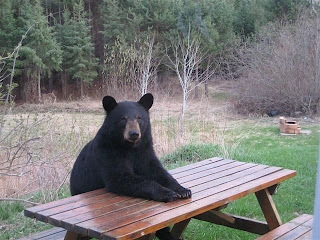 Apparently these animals, like the Montana grizzly bear above who happens to be waiting at his favorite government handout table, have become quite adept at learning to just sit and wait for the government to step in and provide for their care and sustenance, rather than work and forage for their own food. Off to Louisville for the Southern Baptist Convention. Blog posts daily while in Louisville. The Executive Committee of the Southern Baptist Convention will meet on Monday, June 22, 2009 and more than likely approve a recommendation seeking to officially disassociate from Broadway Baptist Church in Fort Worth, Texas. Bill Sanderson, a pastor in North Carolina and a trustee of the International Mission Board, made the motion to disassociate from Broadway Baptist Church at last year's Southern Baptist Convention in Indianapolis. 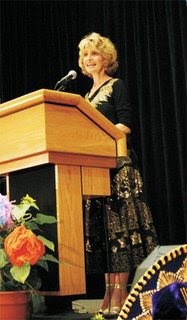 The messengers referred Sanderson's recommendation to the Executive Committee, requesting the EC to report back to the 2009 Convention. It seems gay couples who were attending Broadway asked to have their portraits appear in the church directory. Broadway's leadership, rather than taking a stand against homosexual relationships, led the congregation to vote in February of 2008 to publish a directory without individual or family portraits — simply candid snapshots of people instead. This solution, said church leaders, would allow members to recognize one another without making a judgment regarding homosexual relationships. It is my belief the motion from the Executive Committee to disassociate from Broadway Baptist Church, if presented to the Convention, will pass. In the mid-1990's the Southern Baptist Covention voted to change Article III of the Convnetion's Constitution. 1. One (1) messenger from each church which: (1) Is in friendly cooperation with the Convention and sympathetic with its purposes and work. Among churches not in cooperation with the Convention are churches which act to affirm, approve, or endorse homosexual behavior. And, (2) Has been a bona fide contributor to the Convention's work during the fiscal year preceding. If in fact, it is reported that Broadway Baptist Church and her members are affirming homosexual relationships, I will vote to disassociate from Broadway. The Convention's action will be big news, particularly in light of President Barak Obama's push to overturn the 1996 Federal Defense of Marriage Act (DOMA) which prevents the federal government from recognizing "gay marriage." However, the SBC has disassociated from churches that affirm homosexuality before, and we will simply be following our Constitution. You will be hardpressed to find Bible-believing, evangelical believers who would disagree that homosexual relationships are sin. The much larger issue we face as Southern Baptists is not the disassociation from Broadway Baptist Church, but rather, the probable attempt by some to disassociate from churches that recognize and call women to vocational ministry, such as First Baptist Church, Decatur, Georgia. This historic Southern Baptist Church called Julie Pennington-Russell as their lead pastor, and have a number of women in ministry positions. Though evangelical, conservative Christians agree that homosexual and adulterous behavior is sin, there is disagreement among inerrantists on whether or not women preaching the gospel to men, women teaching the Bible to men, or women spiritually leading men is actually sin. One conservative, inerrantist Southern Baptist pastor has written an excellent paper, while in seminary no less, entitled A Biblical Primer on Women in Ministry. Jon Zens, a fellow conservative evangelical Christian has written, Are the Sisters Free to Function?, an extraordinary defense of women in ministry, based on a very high view of the sacred text. Many conservative scholars write for Christians for Biblical Equality, defending their belief from Scripture that nowhere does God restrict women in ministry. Sure, there is disagreement among Southern Baptists on this issue. But I predict that if someone from Georgia offers a similar recommendation to disassociate from First Baptist Church, Decatur because they have hired a female pastor, then the Southern Baptist Convention will face an extraordinary crisis, the likes of which we have not seen in a very long time. The world may not understand our firm view on homosexuality. So be it. But when half of conservative evangelical Christianity doesn't understand why we would disassociate from churches that call women as pastors, then we lose as a Convention. Let's debate the women in ministry issue. Let's disagree with one another amicably. But for heaven's sake, let's not make fools of ourselves by equating women preaching the gospel with homosexual sin. Paul Chitwood's Idea of a Formula Change? At this year's SBC Pastor's Conference, Paul Chitwood, Chairman of International Mission Board, will nominate Jimmy Scroggins to be the Pastor's Conference Vice-President. I do not know Jimmy Scroggins personally, but he comes highly recommended by many people as a great theologian, pastor and leader. He has only been pastor at FBC West Palm Beach for a year. But what interests me about Scroggin's nomination is the nominator, not the nominee. Chitwood recently came out calling for a change in the Cooperative Program formula. He felt that CP giving should increase by all our churches, but that the IMB should receive a higher percentage of all CP funds and the state conventions' a lesser percentage. Yet, the church that is pastored by the man Chitwood is nominating to be Vice-President had total undesignated receipts last year of over 4.25 million, while giving just $29,335 to the Cooperative Program. That is less than 1% of undesignated receipts - .6 of one percent to be precise. I would suggest to Chitwood that one of the ways to increase Cooperative Program giving to the IMB is to nominate men to Convention wide offices who lead churches that have shown a commitment to CP. To me that is the better approach than changing the CP formula. Finally, there seems to be a pattern from folks connected to our seminaries, that if you connect the dots, would lead one to believe that some are advocating bypassing state conventions in order to give to SBC causes directly (the IMB, seminaries, etc . . . ) There seems to be a growing pattern of advocating less money to states through the Cooperative Program. I know from conversations with some of my fundamentalist friends that there is a perception that state Baptist conventions are the last "remaining vestage" of "liberal" leadership and the one area "they" don't yet control. Frankly, if I even catch a whiff that the Great Commission Resurgence is an attempt to bypass states and go directly to national causes, I will withdraw my support in a heart beat. Ever Been Embarrassed by Your Own Words? Kevin Everett, pro football player for the Buffalo Bills, suffered a spinal injury two years ago that resulted in paralysis. The following is an actual newscast where a sportscaster is reporting on Kevin's remarkable recovery with a corresponding video - or so he thinks! 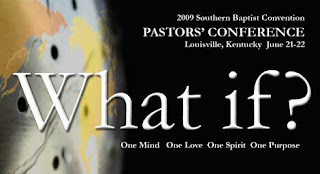 Anybody Attending This Church in Louisville Next Week While at the Southern Baptist Convention? A Kentucky pastor is inviting his flock to bring guns to church to celebrate the Fourth of July and the Second Amendment. New Bethel Church is welcoming "responsible handgun owners" to wear their firearms inside for a June event at the church. An ad says there will be a handgun raffle, patriotic music and information on gun safety. "We're just going to celebrate the upcoming theme of the birth of our nation," said pastor Ken Pagano. "And we're not ashamed to say that there was a strong belief in God and firearms - without that this country wouldn't be here." Pagano, 50, said some members of his church were concerned that President Obama's administration could restrict gun ownership, and they supported the plan for the event when Pagano asked their opinion. He said the point was not to mix worship with guns, though he may reference some passages from the Bible. "Firearms can be evil and they can be useful," he said. "We're just trying to promote responsible gun ownership and gun safety." 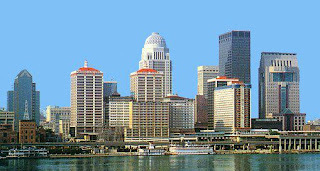 The Southern Baptist Convention convenes in Louisville, Kentucky next week at the Kentucky Exposition Center. My wife and I will probably be attending the 9th and 0 Baptist Church or Highview Baptist Church, and not Pastor Pagano's AG church. No need to go to a church impressed with guns when we will already plan to be at a Convention known for her fireworks. The 2008 Lottie Moon Offering goal was $170 million dollars. The final total of LM collections for 2008 equals $141,315,110.24. The decline of 6.05% in receipts compared to last year LM receipts translates into the largest dollar decrease in the history of the offering. The decision has already been made to suspend the ISC and Masters Program in the IMB and restrict the number of new long-term personnel and journeymen. Because the IMB will not be replacing short-term personnel completing their term of assignments, the International Mission Board's missionary count will be reduced by up to 400 by the end of 2009, and will eventually be reduced by approximately 700 missionaries. Sojourn Community Church in Louisville, Kentucky is doing a great deal for the community of Louisville and gospel missions around the world. However, while the church's support of mission causes has exponentially increased the last decade, support for the Cooperative Program and Lottie Moon offerings has declined. When one inquires of leadership at Sojourn why they fund missionaries directly from their church, and why they have decreased on a percentage basis their giving to CP and LM, they have an answer. They do not point to the financial burden of constructing a new building the church needs to contain the crowds, nor do they point to any disagreement within their local Southern Baptist association or state (in fact, they have a great working relationship with the Kentucky Baptist Convention), nor do they point to any theological differences within the SBC. Rather, they will tell you about a missionary family that Sojourn is supporting overseas as an example of why they must fund missions directly. This family does not qualify for appointment to the IMB for two reasons. (1) The couple uses real wine during communion, so they could not say they "abstain" from wine. Abstinence from wine, according to some Baptist Identity radicals, is "obedience to Christ and holiness before God." This missionary family is considered "unholy" and ungodly for drinking communion wine. Ironically, they do not drink wine on any other occasion. (2)The wife has not been baptized in a Baptist church. Never mind she was baptized by immersion as a believer in a Christian church, her baptism simply wasn't in a Baptist church. There comes a time when Southern Baptists need to realize that some growing, conservative, evangelical churches such as Sojourn are refusing to support the Southern Baptist Convention because of our silly extra-biblical traditions and our tendency toward codifying our legalism in institutional policies that become post de facto edicts to SBC churches. If we wish to grow CP and Lottie Moon during difficult economic times we will denounce all attempts by Baptist Identity radicals to define "obedience to Christ" and "holiness to God" in a manner that goes way beyond the truth of Scripture. Sojourn is hosting an interesting forum regarding the SBC on Tuesday of the Southern Baptist Convention. Let's hope that we all can get to the place in the SBC where we can tell the truth about what is really happening in our Convention because we place loyalty to Christ above any fear of offending strategic people in high places of authority in the SBC. On Monday, June 8, 2009 I did something I had wanted to do for a long, long time. I hiked up Black Mesa to the highest elevation in Oklahoma - 4,972.9 feet above sea level, a football field under one mile high. The Black Mesa was formed by lava flow from ancient volcanoes in the Colorado Rockies - an ancient lava flow easily seen in the map above. The Black Mesa was created by this lava flow and is like a table top sitting high above the plains. Black Mesa is as far west and as far north as you can go in the state of Oklahoma. People think Enid, Oklahoma (Garfield County) is in far northwest Oklahoma - not even close. At 7:30 a.m. I hopped in my trusty 140,000 mile Honda Accord and headed west on US Highway 412 out of Enid. I went through Woodward (90 miles), through Guyman, Oklahoma, (210 miles), then to Boise City, Oklahoma (275 miles). In Boise City you go on a circle around the courthouse in the center of town and then follow State Highway 325 west 37 miles to the city limits of Kenton, Oklahoma. Just outside the city limits of Kenton, which necessitated me turning my watch back since Kenton is the only town in Oklahoma that operates on Mountain Time, I turned north and followed a county road 4 miles to the parking lot of the Black Mesa Natural Preserve. Distance from Enid - 312 miles. At the Natural Preserve you must park your car and then hike 4.2 miles to the top of Black Mesa. On this day I was the only hiker. I never saw another human being during the almost 10 mile round trip hike. The sounds of the land were incredible. From the locusts nesting in the thousands of cacti, to the dozens of different birds, as well as the whistling winds sweeping down the gorges, it was a cacophony of sounds and sights the nearly two hours it took me to get to the top. But my, was it worth it. Black Mesa is in the far northwestern corner of Cimarron County, the most western county in the Panhandle of Oklahoma. Cimarron County has the distinction of being the only county in the United States touched by four different states. As I sat and rested on top of Black Mesa, I could literally see 1/10 of the United States in terms of our states. Less than fourteen hundred feet to my west was the state of New Mexico. On the horizon I could see the mountains surrounding Raton Pass. To my north four miles was Colorado and the ancient volcanic mountains at the foot hills of the Colorado Rockies, the very volcanoes which provided the lava that formed Black Mesa. Back to my northwest was Kansas; to the south was Texas, and due east was the great state of Oklahoma. From my viewpoint a mile above the earth I could see over a hundred miles in each direciton. But there was something that happened while I was on the top of Black Mesa that got me to thinking. It was a bright, sunny day and as looked at the beautiful blue skies I saw a passenger jet flying east to west above me. They say at night the stars kiss your nose on Black Mesa, and I can vouch that in the day the planes are close as well. I could clearly see the plume of smoke coming out of the twin engines of the jet, with the long, white crystallized cloud it formed as it crossed the blue sky. I thought about the couple of hundred passengers on their way to Los Angeles or beyond. Then I looked down and saw a Burlington Northern - Santa Fe train snaking its way, heading west. Beside the train was a modern state highway where a few cars were heading west as well. Just to the south of the railroad tracks and highway, easily seen from my position on Black Mesa, was the path of the Old Santa Fe Trail. from 1823 to 1880 the Cimarron Cutoff of the Sante Fe trail crossed the Oklahoma Panhandle just to the south of where I sat, heading west into Mexico and Santa Fe (a city once in Mexico but now in the US's "New Mexico"). The United States in the 1820's were very interested in establishing trade with the new country of Mexico and so a trail was forged from St. Louis to Santa Fe - a wagon trail. At Dodge City (Kansas) the trail split into a southern route (the Cimarron Cutoff ), which crossed the just south of the Black Mesa, and a northern route that took the trail west through the Colorado Rockies and then south to Santa Fe. Most travellers and traders in the 1800's took the Cimarron Cutoff of the Santa Fe trail because it was 100 miles shorter and avoided the Rockie Mountains. With the advent of the steam engine and the railroad, the Santa Fe trail fell into disuse in the 1880's. No longer would people make the seven week journey from St. Louis to Santa Fe via wagon. They would take the train. Then, just a few decades later, people were taking cars and planes to Santa Fe and beyond. As I was thinking about all this, I pulled out my Blackberry Curve and saw I had missed a couple of calls. If I were a business on the east coast wanting to trade with merchants and people in Santa Fe, how foolish would I be to keep bringing my goods in a wagon over the Santa Fe Trail? Not only would I be foolish - I'd be out of business. Times have changed. The world has become fast paced. Communication is instant. From my perspective on Black Mesa, a mile high, I could see this very clearly. Why then, do we Southern Baptists continue to use an archaic system of governance that was established in 1845 - the very time the Sante Fe trail was being used to bring goods to, and communicate with, the people of Mexico? Isn't it about time we started having our Convention regionally, electronically and efficiently? My wife and I just spent $2,000 hard earned dollars to buy our tickets, hotel and car to Louisville, Kentucky. I spent the weekend with a church planter from Arizona who not only couldn't afford to go to Louisville, if he could, he would use his money to attend conferences that would help him in his church planting ministry. I asked him, however, if the Convention offered a regional Convention, via satellite, that would allow him to observe, participate and vote, would he attend - say if one of the regional conventions were in Phoenix? It's time the Southern Baptist Convention caught up with the rest of the world. It's time we stopped using our archaic system of governance that excludes the vast majority of Southern Baptists from being able to participate in Convention business. It's time we changed how we operate. Southern Baptist pastor Wiley Drake of California (pictured to the left), is the former Vice-President of the SBC. Drake is quoted by Associated Baptist Press as saying he is glad Dr. George Tiller, the abortion doctor from Wichita, was murdered last week while attending church. Drake confessed to having been personally praying "imprecatory" Psalms over Dr. Tiller for the last year. Drake goes on to say that he has been praying "imprecatory" Psalms over President Obama and the same fate awaits Obama that befell Tiller if he does not repent. My friend, Dwight McKissic, has called on Southern Baptists to repudiate Wiley Drake's words. I join Pastor McKissic in denouncing what Wiley Drake has said. Our Southern Baptist Convention should take official action as well. Drake's words should be a reminder to all of the logical end of Baptist Identity Fundamentalism. The world should know that Drake's words, nor any other Baptist Identity radical viewpoints, represents the views of the vast majority of Southern Baptists. (Update; Please note that this post is a denunciation of Wiley Drake's WORDS and not his person, and it is a caution against Baptist Identity ideology, not BI people). The First Baptist Church in Charleston, South Carolina began an annual event a couple of years ago called Say Something Nice Sunday which is scheduled for this Sunday, June 7th, 2009. Many Southern Baptist Associations and Conventions have adopted the day themselves, including the historic Charleston Baptist Association and the South Carolina Baptist Convention. I am cooperating with Mitch Carnell and other authors on a book that will be published soon entitled "Christian Civility." I have read the authors' proofs and a variety of men and women who have contributed to the book have done an excellent job of showing the importance of civility in our lives and culture. 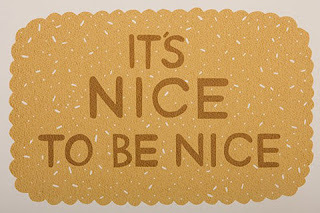 "Niceness is breaking out in South Carolina Baptist churches. I pray the rest of the Southern Baptist Convention is not next." In the spirit of this weekend let me say something nice about the editor of the Florida Baptist Witness: God seems to be in the business of answering Jim's prayers. Probably the biggest news coming out of the Southern Baptist Convention in Louisville, Kentucky in a couple of weeks will be a vote regarding the Great Commission Resurgence Declaration. Whether or not an official motion for the Convention to affirm the GCRD will be made is yet to be seen, but I'm sure the debate will be a memorable one. I have signed the GCRD, but I recently received a sagacious comment from one of our finest IMB missionaries regarding the GCRD. 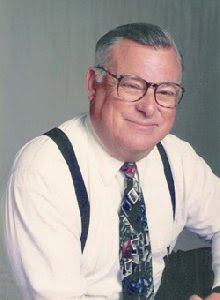 Ron West was appointed by the the International Mission Board in the 1970's. Ron served as a math teacher and coach before his IMB appointment and had just finished his Ph.D. in math before receiving his first assignment to the Far East. Ron taught math and coached in a missionary kid's school for a few years and then he taught math in a Chinese University in Taiwan where he did student evangelism and church planting. Being a teacher was a tremendous help in fulfilling his mission since the Chinese give a great deal of respect to teachers. 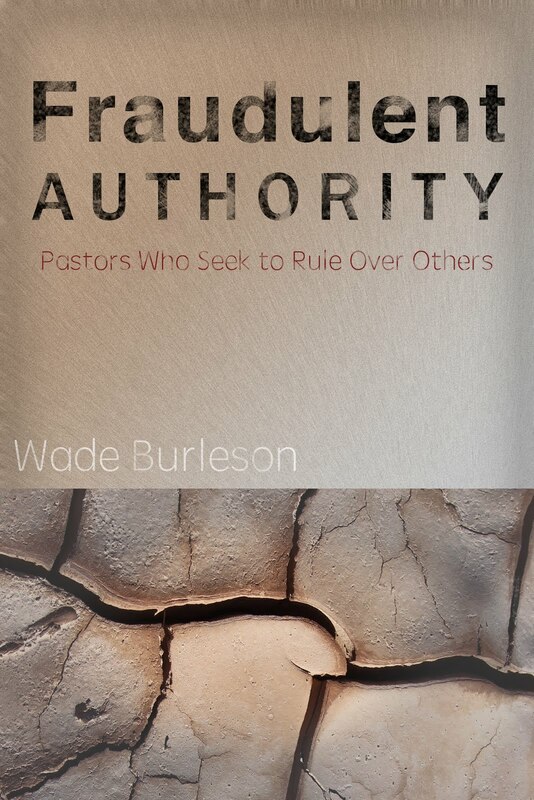 Wade, you say that a Great Commission Resurgence is necessary and I have no problem with that. I would like to see us discuss the proposal by Johnny Hunt and Danny Akin for a Great Commission Resurgence that is going to be proposed at this year’s SBC meeting. I could not sign the document for a number of reasons but most of all because I do not believe it has anything to do with a GCR. Reorganizing the SBC or combining the IMB and NAMB will not bring about a GCR. The SBC does not need to study the state conventions and associations. The state conventions and association need to study the SBC and determine if the SBC is fulfilling its mission. For example, I believe that the SBC would more fully carryout the wishes of the churches, associations and state conventions if the trustees from each state were chosen by the state convention. What we have now is a system similar to what would happen in the US if the president were able to chose the senators and congressmen from each state whether the state supported him or not. Why don’t we have a blog devoted to discussing the GCR as proposed by Hunt and Akin. (1). The way trustees are appointed in the SBC ought to change. State Conventions ought to appoint trustees. (2). The churches, associations and state conventions ought to study national agencies and determine if they are fulfilling their mission rather than the other way around. the sun forbear to shine. The Scripture, however, tells us the earth doesn't dissolve; it is redeemed by God and endures forever. "A generation goes, and a generation comes, but the earth remains forever" (Ecclesiastes 1:4). “Blessed are the meek, for they shall inherit the earth” (Matthew 5:5). “The righteous themselves will inherit the earth, and they will reside upon it forever” (Psalm 37:29). “The redeemed earth will last, not just for a thousand years, but forever” writes Anthony Hoekema. The grandeur of the Grand Canyon, the pearl green waters of the Caribbean, the white sand beaches of the Pacific, and the lush green forests will all be a part of our heaven, without sin and corruption according to Randy Alcorn in his book aptly entitled "Heaven." But someone might object that Jesus “left earth” to prepare a place to which we will go (John 14) What is this place? “I saw the holy city, new Jerusalem, coming down from God out of heaven, prepared as a bride adorned for her husband” (Revelation 21:2). Heaven and a renewed earth will unite for our eternal home when the curse is reversed, and we will enjoy all of God's created universe. The resurrection is nothing more, nothing less, than God's redeemed people being raised from the dead to inherit a redeemed and restored earth. the sun will forever shine.